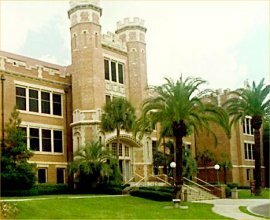 Florida State University is a comprehensive, national graduate research university located in Tallahassee, Florida. The university comprises 16 separate colleges and almost 40 centers, facilities, labs and institutes. ↑ College Search - Florida State University - FSU - At a Glance (English). College Board. Retrieved on May 30, 2010. FAQ About Florida State University. This page was last modified on 27 June 2016, at 02:24.